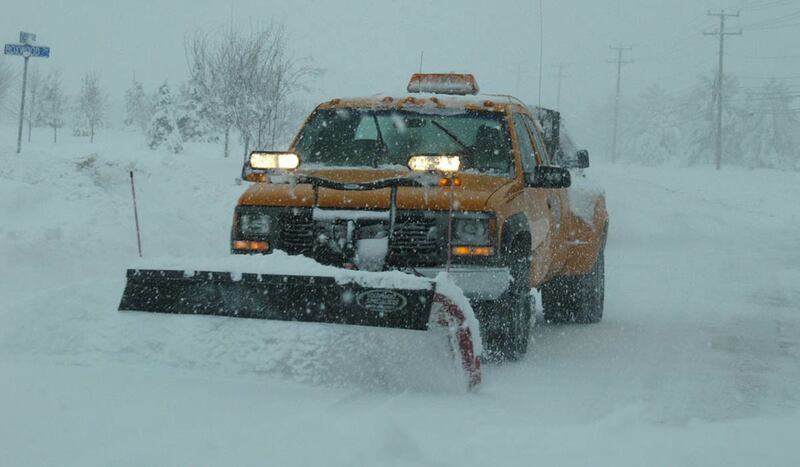 A hard winter means trouble for asphalt surfaces. 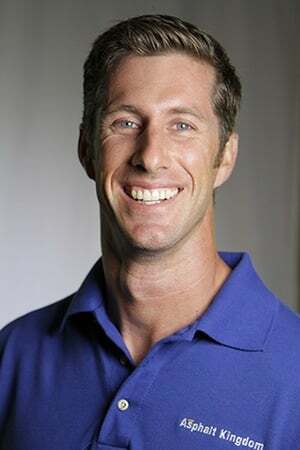 Find out the three most common problems and what you need to address them before permanent damage occurs. After one of the coldest, snowiest and stormiest winters in over a decade, and as the snow finally starts to melt, a lot of parking lot owners are seeing the unexpected consequences of winter damage on asphalt surfaces. There are three main areas affected by a hard, heavy-snowfall winter: First, the constant scraping of snow plows can mean that parking lot lines have all but disappeared. This decreases a parking lot’s efficiency as fewer cars can park and people don’t know which direction to take in parking lanes. In some cases, if state-regulated handicapped spots are scraped off, parking lot owners could even face fines for non-compliance. 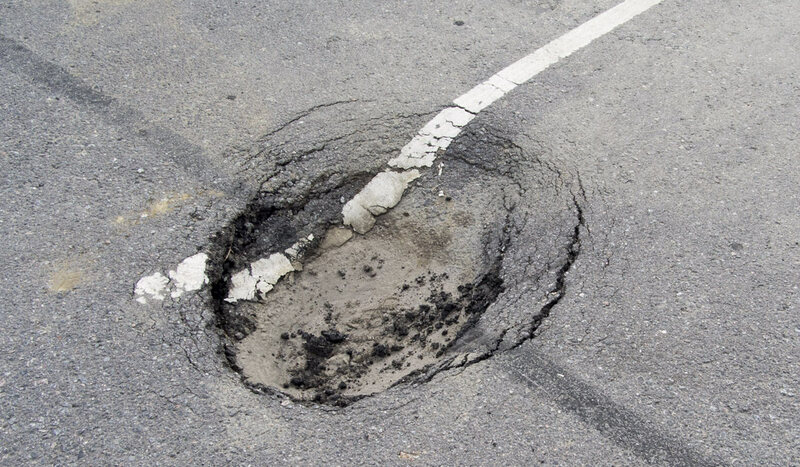 The second area to watch is cracks: cracks that weren’t properly cleaned, filled, and sealed before winter may have let moisture into the foundation of your asphalt, and could have compromised the whole surface, necessitating costly repairs. 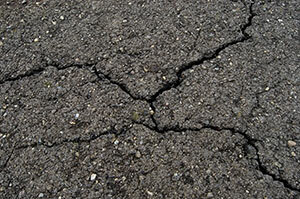 If you see a depression forming around a crack, it is likely that you have foundational damage. Thirdly, untreated cracks and areas of pooling water that freezes and expand may have resulted in potholes showing up in your pavement. 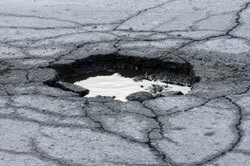 Potholes are at best a risk to your pavement and at worst a dangerous hazard to drivers and pedestrians alike. 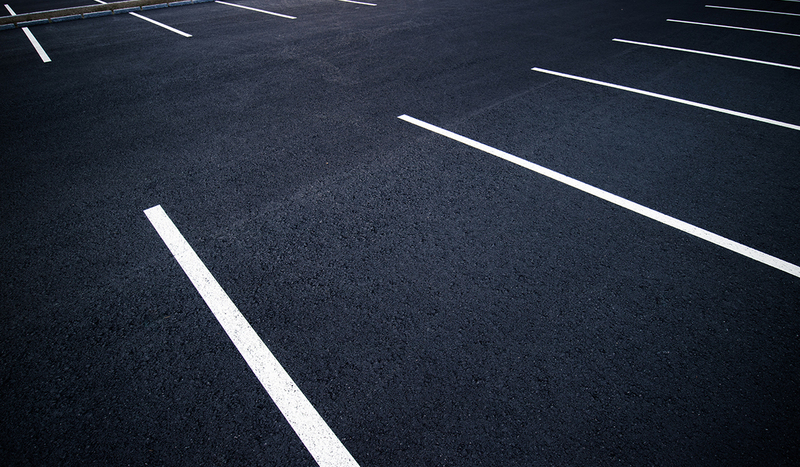 The easiest and fastest way to address the problems is to hire an experienced asphalt maintenance contractor to come out and look at your parking area. However, after a winter such as this one, it could be difficult to book one any time soon. If you prefer to do it yourself, there are several helpful guides available online to teach you what you need to do and what equipment and supplies you need to do it with. This is one of the easiest fixes you can make to your parking area. 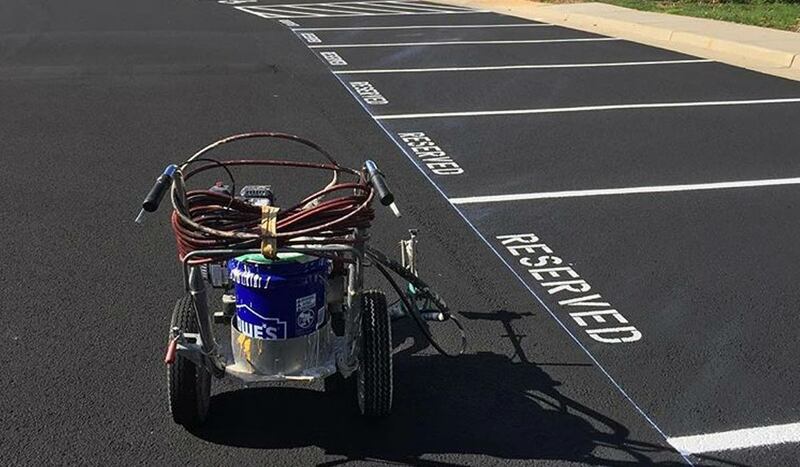 If your parking lot lines have become all but invisible thanks to a season of snowplowing, you can easily repaint them overtop of the existing lines using professional line-striping equipment. New to parking lot maintenance? 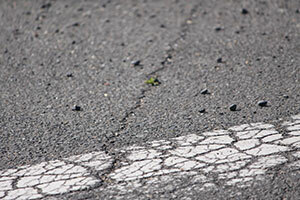 Then it is important to remember that asphalt line striping should take place after all other asphalt maintenance. If you are planning to re-seal your parking area this summer, all your lines will disappear under the nice fresh blacktop. However, if the parking area was sealed within the last year or two, there is no need to reseal this season and you can go ahead and line stripe. For information on how to use these tools and a step-by-step guide to redoing your parking lot, check out our free Parking Lot Lines course. Unfilled cracks aren’t just an eyesore: they allow moisture into your pavement’s foundation and that can cause long term irreparable damage. If spring breezes bring weed seeds into the cracks and plants start to sprout in these areas, the potential for moisture to travel into the foundation is greatly increased. For small cracks (less than 3/4″ wide), you can use the ‘blow and go’ technique: clean the crack and fill it with either cold or hot rubberized crack filler. For larger cracks or plentiful cracks, you’ll want to use a router or an asphalt saw to clean both edges as well as possible, and then apply hot rubberized crack filler to the affected area. For an easy-to-follow method, visit our Parking Lot Crack Repair page. Potholes are best caught early and treated immediately, regardless of the time of year. There is a specialty Cold Asphalt Patch product that you can use to make fixes to your pavement year-round, regardless of the temperature. If you’re faced with a wait time of several weeks to repair potholes you’ve found in your parking lot, this is a great option for you. The fix is permanent and you’ll immediately reduce the risk of damage to your customers’ or clients’ cars. A tamper or an oiled board to drive over to compact the patch in the hole. Learn the basic steps of pothole repair with our handy guide. Whether you do it yourself or you hire a contractor, you need to assess the state of your parking area as soon as the snow melts enough to see it. Proactive action now can save you thousands of dollars in replacement costs, and as an added bonus will make your property look refreshed and ready for spring.